Event Lighting is the ideal way to create atmosphere and transform any venue! 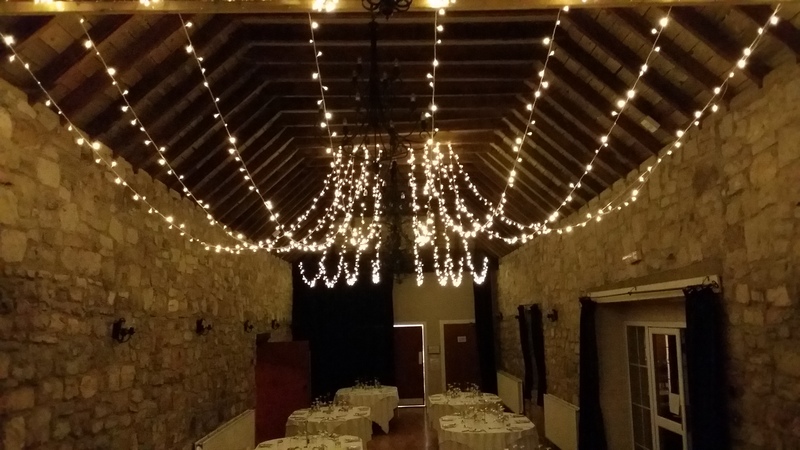 We have various event lighting options available to suit all events and venues! From subtle but effective Fairy Light Canopies through to our bold Illuminated Letters, we aim to have something on offer for everyone. No matter what space you are working with or atmosphere you want to create, our lighting options are great way to transform or accentuate your venue. Our bespoke packages can turn the ordinary into the extra ordinary at the flick of a switch. We have a range of illuminated LED signs that are perfect for your event! For weddings, our LOVE signs are a perfect focal point for your venue. Chose from our 5ft stainless steel letters with warm white carnival bulbs or our 4ft letters with colour option carnival bulbs – the former offers a classic look whilst the colour letters can be set to a range of colour tones or even set to cycle through them all (perfect for achieving different looks between meal & reception areas!). Our Cinema Lightbox Sign is our exciting new product which is fully customisable to display the message of your choice. Not only is this ideal for weddings but also corporate events, charity balls & promotions! 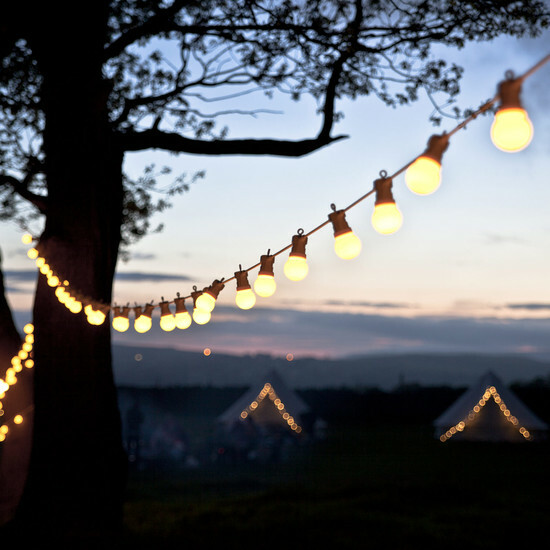 Fairylight or Festoon Canopies help create the perfect atmosphere at many venues. 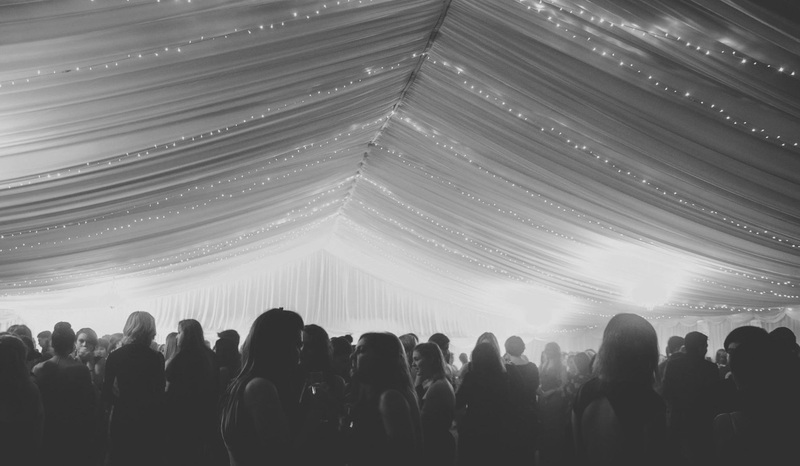 Our canopies are available in various styles and are sure to transform any function room, barn or marquee! They can be used inside or out to make a magical atmosphere. 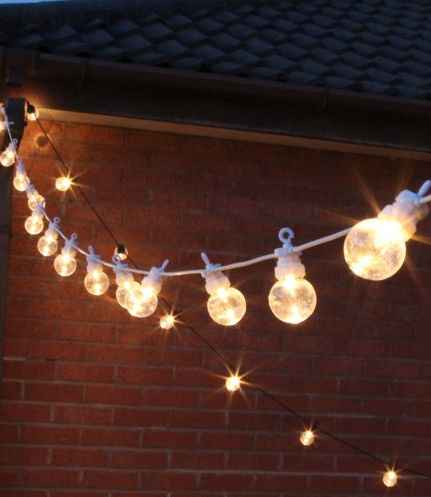 Fairylight canopies offer a subtle yet magical feel whilst our festoon canopies with larger warm white bulbs are a bit bolder and really create a statement! Paper Lanterns are one of the biggest trends of the last couple of years and continue to be popular for many events! We offer a wide range of lanterns with various sizes & colours available and with full installation service and the option to illuminate these as well. 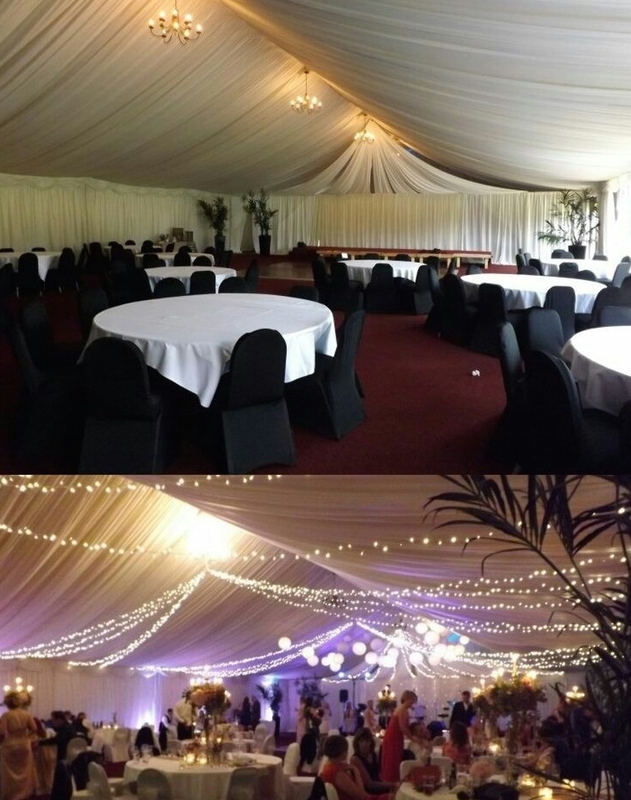 Canopies & Lantern packages are bespoke to each venue so please get in touch for prices! Our huge 3m high lit cherry blossom trees are great for both use indoors or outdoors. These statement trees really help change the atmosphere of any setting and are available singly or as a pair. Single tree £245 & Pair £450. Getting the lighting right can have a huge visual impact at your wedding or event! Our LED uplighting can be used to illuminate large areas and can tie in with the colours of your event theme. Chose to have static colour or a atmospheric colour changing effect. 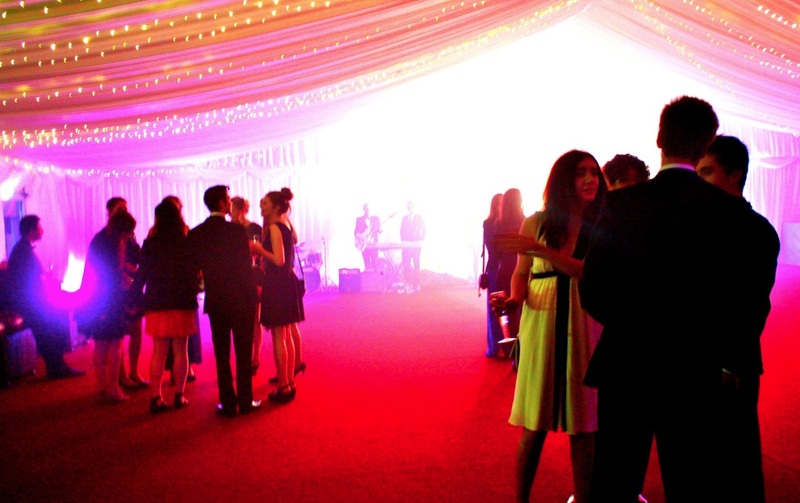 Make Believe Events are proud to offer a fully tailored service to enhance you venue. Colour washing can be used on venue walls, marquee lining, architectural features, archways and other areas of your venue to great effect – with our experience across many venues in Scotland, we will be able to give you an idea of how to best utilise the lighting to create stunning effects and fantastic ambience. We offer a range of LED illuminated items – including Cubes, Tables, Bars, Snake Seating & Trees. Use a few illuminated posuer tables as statement pieces at your function or combine lots of different items to create a real party atmosphere! The range is extensive and you can pick and mix various pieces as required. Please check out our current price brochure for all options or get in touch with us! 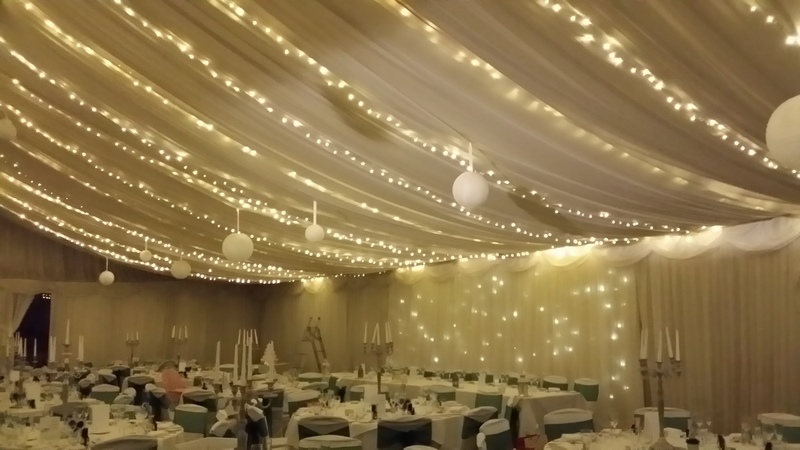 For more event lighting images and to keep up to date with our offers, join us on Facebook Facebook.com/makebelieveevents or contact us if you have an enquiry!